Vicki and I were talking about what people seem to be dealing with that I could help them with. We both lit up when the subject of the Sunday Scaries came up. Have you noticed how much people on Social media comment on Sundays about facing the next week? Then on Monday there’s post after post about how hard it is to get started again. Vicki reminded me of one of Edward Gorey‘s creations, The Fantod Pack. If you don’t remember Edward Gorey, this may help. If you are already a fan, you are welcome. I always though fantod was a made up word. It is not. Well, that really struck home with me. In my last job in the days long before social media my fantods started as soon as I woke up on Sunday. That was because I knew in less than 18 hours I was going to be back in the grind of a 90 hour week with few breaks for sanity. I seldom enjoyed Sundays as my only real day off. I lived with the shadow of 5 am Monday and what was going to happen. Fantods filled my life. That was truly one of the most awful times of my existence. I have an inkling that there are a lot the Fantods showing up in the Sunday Scaries as people wind up for getting started again on the new week. So, we decided that maybe I need to show up for you all on Sunday to shine some light onto the Fantods and deal with them. I won’t pretend to have some kind of magic dust to make it all better. 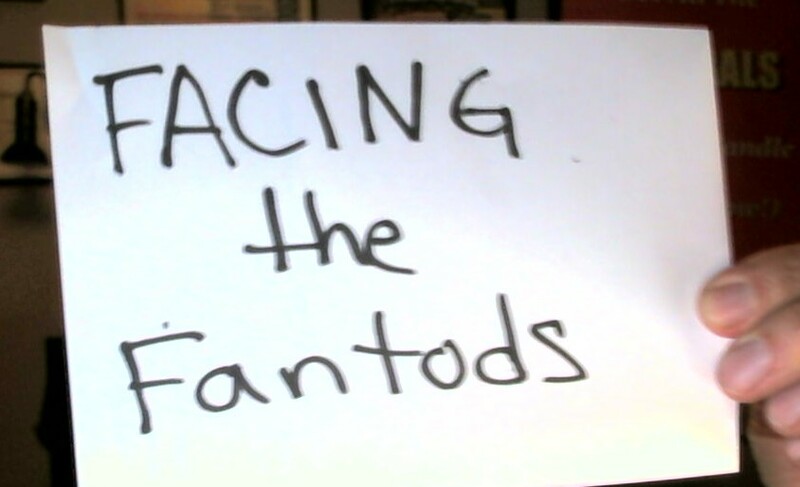 What I will do is spend a few minutes every Sunday talking about the Fantods and how people are dealing with them. Maybe we’ll even have a conversation about your personal Fantods and how you are dealing with them. One of my teachers, Thomas Leonard, showed me that a lot of people working together on something are more likely to create something amazing. “Anything worth doing is worth involving a lot of people” is what Thomas would say. So, now I’ve started. I’m claiming the space for everyone who wants to Face the Fantods together. If you have already dealt with yours, please be generous and share with others in the comments here and on my personal facebook page. As the great Philosopher of The Possum Lodge, Red Green said, “We’re all in this together.” So, let’s keep our stick on the ice and play this one through.